Before computers became a thing everyone owned, they were in libraries, allowing folks easy and free access to a whole new, important technology. And now it looks like Oculus is going to borrow that strategy for VR. The company today announced it's launching the pilot of its education program by putting the Oculus Rift in 90 Californian libraries for free. There will be 100 Rifts and Rift-ready PCs in those 90 libraries, which make up roughly half of California's 184 library jurisdictions. 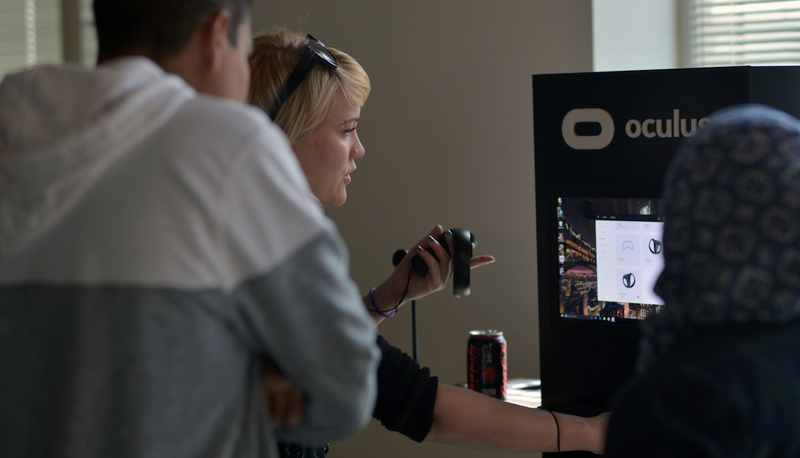 Oculus says there is potential to move beyond those initial 90 libraries, too. The displays look like they'll have enough space for at least one person to experience VR. For people who aren't experiencing VR first hand, they'll get a look at what you're seeing via a display in a black housing. As for what you'll be able to experience, there are 24 pre-loaded pieces of VR content, including Google Earth VR, Ocean Rift, The Body VR, Mars Odyssey, Everest, and BBC productions Cat Flight, Oogie and Bear Island. The goal behind the program is to support equitable access to VR, according to Oculus Education program manager Cindy Ball. "Public libraries provide safe, supportive environments that are available and welcoming to everyone. They help level the playing field by providing educational opportunities and access to technology that may not be readily available in the community households. Libraries share the love - at scale." This is one of the very few instances that feels like a win-win-win. Regular people get to try out VR for free, and maybe for the first time, at their local library. The libraries get something cool that makes people want to head to a library, and Oculus gets to put Rift into the hands - and onto the heads - of a whole bunch of people.